TORONTO, ON., March 26, 2018 — International Data Corporation (IDC) Canada today announced the publication of a new report, IDC MarketScape : Canadian Security Services Providers, 2018 Vendor Assessment (IDC# CA43005218), which compares 17 security services providers with operations and customers in Canada, using the IDC MarketScape model. 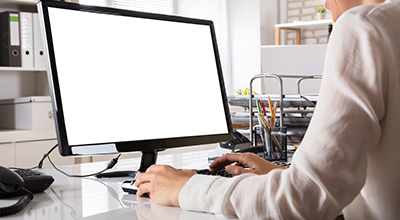 This process included interviewing all of the providers and one or more customers from each (if made available) on managed and professional security services. The 17 vendors evaluated in this IDC MarketScape are: Bell Canada, CGI, Deloitte, Difenda, eSentire, GoSecure, Herjavec Group, Hitachi Systems Security, IBM Canada, ISA, Optiv, Scalar Decisions, Secure Sense, Secureworks, TCS Canada, TELUS and Trustwave. "Strong revenue growth in security services is increasing competition among Canadian players as value added resellers and system integrators double down on security as their traditional markets slow," said IDC Canada's Kevin Lonergan, senior analyst and lead for the Canadian Security Market Dynamics research program. "Still, digital transformation, cloud, and mobility are expanding organizations' attack surfaces to an evolving threat landscape, creating ample opportunities and Greenfield growth for all." In this IDC MarketScape, IDC Canada identified eight Leaders, seven Major Players, and two Contenders in the Canadian security services market. The research revealed that the vendors positioned as Leaders provide a complete range of services that can meet the needs of the smallest business and the largest enterprise. However, not all providers' solutions are necessarily the best fit for all organizations as pricing, support levels, and other variables are valued differently depending on need. For example, budget is the top roadblock to improving security for Canadian organizations, and finding a security provider that can offer appropriately priced solution can be as or even more important than breadth of service for some. For more information about this IDC MarketScape, please contact Kevin Lonergan. The IDC MarketScape vendor analysis model is designed to provide an overview of the competitive fitness of IT, telecommunications, or industry-specific suppliers in a given market. The research methodology utilizes a rigorous scoring methodology based on both qualitative and quantitative criteria that results in a single graphical illustration of each vendor's position within a given market. IDC MarketScape provides a clear framework in which the product and service offerings, capabilities and strategies, and current and future market success factors of IT, telecommunications, or industry-specific vendors can be meaningfully compared. The framework also provides technology buyers with a transparent foundation to allow companies to independently compare the strengths and weaknesses of current and prospective vendors. International Data Corporation (IDC) is the premier global provider of market intelligence, advisory services, and events for the information technology, telecommunications, and consumer technology markets. With more than 1,100 analysts worldwide, IDC offers global, regional, and local expertise on technology and industry opportunities and trends in over 110 countries. IDC's analysis and insight helps IT professionals, business executives, and the investment community to make fact-based technology decisions and to achieve their key business objectives. 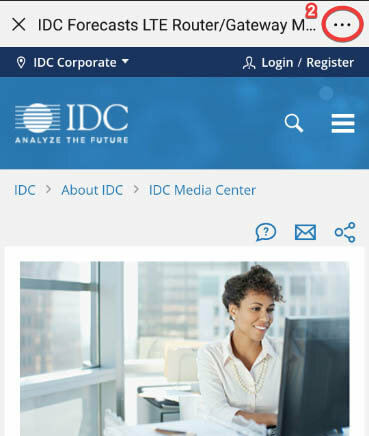 Founded in 1964, IDC is a wholly-owned subsidiary of International Data Group (IDG), the world's leading media, data, and marketing services company that activates and engages the most influential technology buyers. 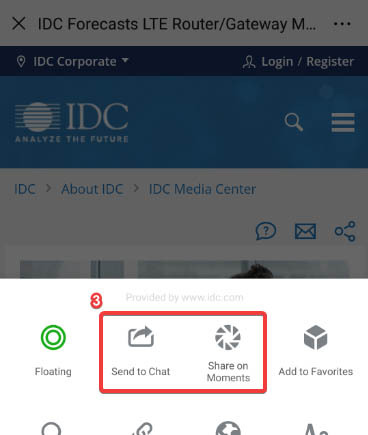 To learn more about IDC, please visit www.idc.com or follow on Twitter at @IDC and LinkedIn. To learn more about IDC Canada, please visit www.idc.com/ca or follow on Twitter at @ idccanada and LinkedIn. Deloitte LLP, SecureWorks Inc., TELUS Corporation, Herjavec Group Ltd., Tata Consultancy Services Limited, Scalar Decisions Inc.., Information Systems Architects Inc., BCE Inc., Difenda, Inc., OPTIV INC., GoSecure, Trustwave Holdings Inc., Secure Sense Solutions, Inc., IBM, eSentire, Inc., Hitachi Systems Security Inc., CGI Group Inc.